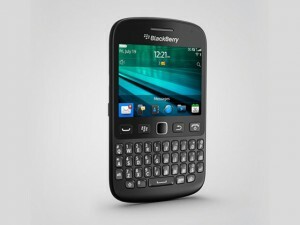 BlackBerry will release the 9720 smartphone in the coming weeks. The 9720 will be the manufacturer’s first smartphone to be based on the BlackBerry 7 (BB7) platform since the Curve 9320 in May 2012. This year, the firm has focused on growing its BlackBerry 10 portfolio, releasing the Z10, Q10 and Q5 smartphones. The 9720 is powered by a single core 806MHz processor and comes with BB7 OS version 7.1, which features an updated interface that lets users swipe to unlock the phone or access the five megapixel camera from the lock screen. It has a QWERTY keyboard, 2.8-inch touchscreen and trackpad for navigation around the device, as well as built-in FM radio and 512MB of internal memory that can be expanded by up to 32GB with a microSD card. There is also a dedicated BlackBerry Messenger (BBM) button on the handset. The service now includes BBM Voice, which lets users make phone calls over Wi-Fi for free. For business users, the 9720 enables access to BlackBerry Enterprise Server and BlackBerry Enterprise Server Express.